Any new blogger out there, will attest to the fact that getting that coveted first brand sponsorship opportunity with an amazing brand that they love is hard, if not, near impossible because there's so many prerequisites that you, as a blogger must satisfy before a brand can even consider you for sponsorship opportunity. 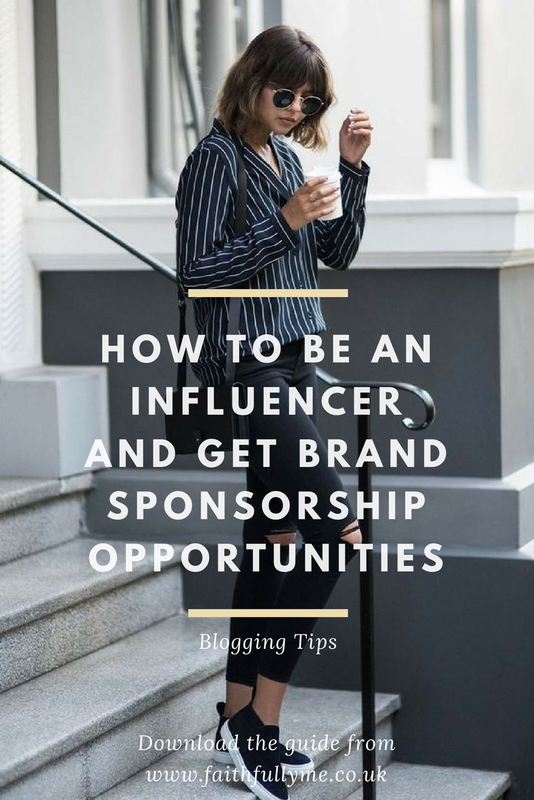 Not so long ago, brands were ONLY head-hunting seasoned bloggers with tons amounts of following for sponsorship opportunities - and by "tons amounts" i mean hundreds of thousands of social media following, or else brands wouldn't even look at you at all! Because the thinking behind that was: the more following a blogger/influencer has, the higher the engagement they will garner about a product they were payed to promote, which, in turn, would translate into revenue! But, that is no longer the case anymore! You see, Brands are now looking to micro-influencers (ie newbie bloggers with less than 50,000 followers) for sponsorship deals because, they know that 1) micro-influencers have a higher level of online engagement, 2) they come-off as way more authentic than some (not all) of the more established bloggers/influencers; and 3) they have a trusting relationship with their readers which usually translates into purchases. 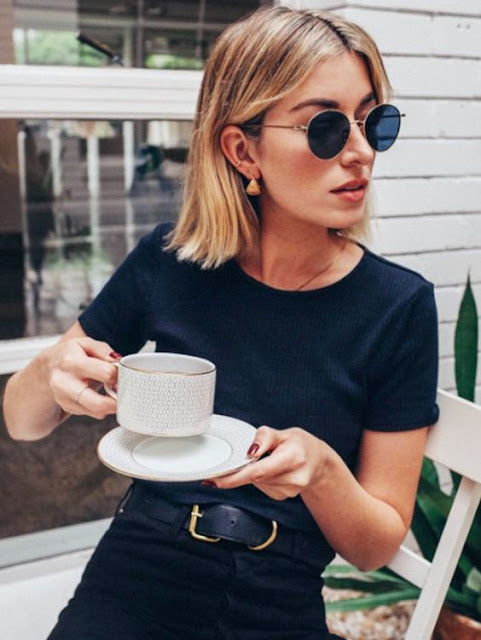 Unlike traditional influencers, (ie seasoned bloggers with a huge online following) brands are now abandoning them, and instead, are seeking out newbie bloggers or social media enthusiasts with a more modest following as they've proven to be more brand-loyal with targeted audiences - something that brands like to leverage for marketing success. So if you're reading this and you have a combined total of less than 50,000 online followers, then you are exactly what huge brands are looking for right now! Posting something on social media is one thing, but posting something on social media that ... reader engagement is quite another, and brands are very much aware of that. So if you want to look like an ideal candidate for brand sponsorship, make sure you have engaging content on your social media. Since Brand sponsorship essentially revolves around creating content, brands want prove that you'll be able to create content around their product(s) within the specified time period/deadline; and blogging consistently is a way to prove that. Here's the thing: if you’re interested in attracting brands for opportunities like sidebar ads, giveaways, sponsored content, Instagram sponsored posts; etc. then it’s going to be super important to put something together to outline who you are as a blogger/micro-influencer and what you can offer an advertiser (and how much it’s going to cost them! ), and that's why a media kit is a must! 5/5 HAVE A BLOGGER CV/RESUME ILLUSTRATING YOUR CORE COMPETENCIES AS A BLOGGER, YOUR RESPONSIBILITIES BEHIND RUNNING A BLOG, MAJOR ACHIEVEMENTS THUS FAR, ETC. And here's why: brands want to see that you're serious as a blogger and that you won't waste their time. They want prove that you're a competent content creator because that's what they'll be paying you to do - to create content! So having a blogger CV/Resume is a quick way to prove that you're serious as a blogger AND that you're competent! If you already have the above 5 criteria met, then I'm sure by now you're wondering: "How can I get Brands that I love to start noticing me as a blogger and offer me sponsorship opportunities?" Well, have you thought of signing up with influencer marketing platforms? The 8 App - this platform is super awesome! Literally anyone with any following can join and get the opportunity to accept offers to work with Brands right on their phone. Influenster - this platform rewards their influencers by gifting them the products that influencers review or by offering coupons. Tapinfluence - Tapinfluence will match you with top brands to help you monetize your content. Cool, huh?! So, there you have it! The 5 Crucial things you as a blogger need in order to leverage your "micro-Influencer" status. P.S. 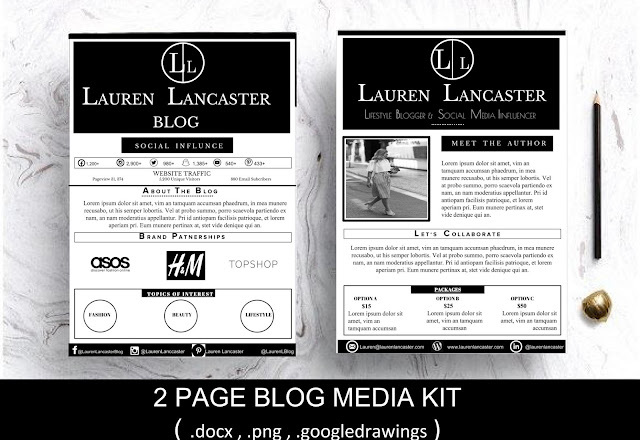 Wanna Get this Lauren Lancaster Blogger Kit for FREE?! As someone that is fairly new to blogging and sponsored content, this was very helpful! Thank you! Hey, this was super helpful. I had never heard of Obvious.ly before! That's new! Great post was completely unaware of the apps that help you link with companies. It's also reassuring that brands are focusing more on engagement rather than following . Great idea to put your blogging experience on your resume! So many people don't think about that. I know I didn't for a long time. LOVE your tips about posting once a week, and also gives hope for the less than 50k bloggers! Looking forward to trying out your suggestions. This is really strong advice! I feel really empowered now and just subscribed! This is so true! Consistency is key! I love these tips! I really could have used them when I was starting out. Thanks for sharing! I think it's so important to have a media kit. i didn't realize brands are looking for influencers with smaller following right now. That's good to know.